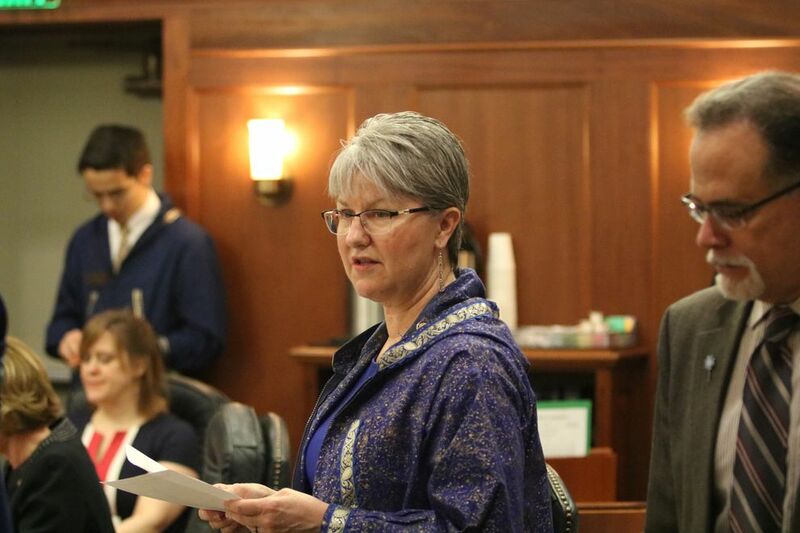 JUNEAU — With a key deadline a week away, Alaska lawmakers Tuesday advanced a flurry of bills that legislative leaders said could put them on track to adjourn their session in just a few days. "We're almost out of here," said Kodiak Republican Sen. Gary Stevens. • Both the House and Senate passed legislation to change the way the state manages the $65 billion Permanent Fund — a bill that's designed to fill the majority of Alaska's huge deficit. • The Senate passed a bill that could neutralize a government accountability and ethics initiative that's set to appear on the November ballot, though the legislation could face opposition among the initiative's sponsors in the House. • The Senate passed the state's annual capital budget, which would spend roughly $150 million in unrestricted state general fund money along with $1.1 billion in federal cash. 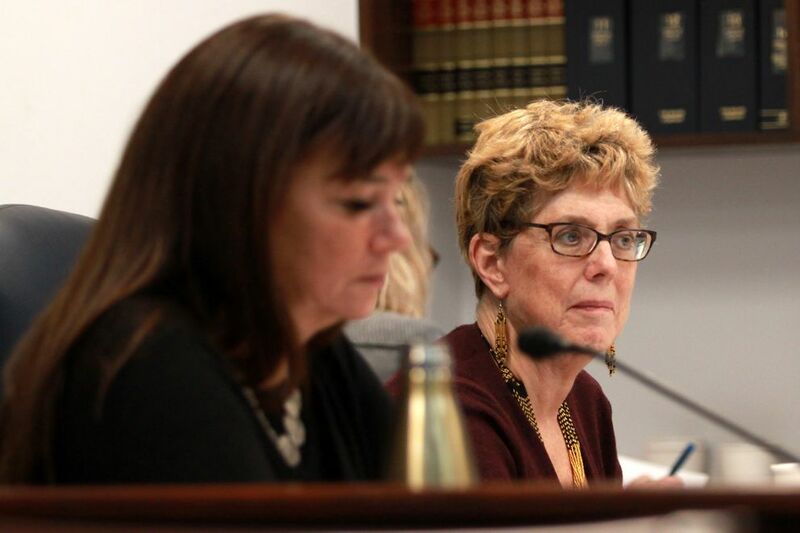 • A state Senate committee, at an afternoon hearing, took up a low-profile proposal involving crimes against medical workers. By the time the hearing ended, the legislation had nearly tripled in length, with a title alone that stretched to 230 words. It had been merged with three other crime bills sponsored by Gov. Bill Walker, including a proposal endorsed by Anchorage police and prosecutors that would change the way the state sets bail for people accused of certain crimes. With that array of bills moving Tuesday, legislative leaders said they could foresee finishing their work before next Wednesday, which is the 121-day cap on the length of their session set by the Alaska Constitution. "We are going to get out of here prior to the 121-day constitutional limit," said Anchorage Republican Rep. Gabrielle LeDoux, a member of House leadership. If that happens, it would be a break from the partisan sniping and deep ideological differences that have plagued lawmakers' end-of-session negotiations recently. In the past three years, disputes between the caucuses that control the Legislature's two chambers — the mostly-Republican Senate majority and the largely-Democratic House majority — have kept lawmakers working long past that 121-day deadline. This year, with the primary election looming in August, legislative leaders say negotiations are moving more smoothly. The Permanent Fund legislation, Senate Bill 26, is at the center of the package of bills that lawmakers call the "adjournment plan." Its passage Tuesday should grease the path for the rest of the pieces that need to fall in the place, legislators said. "I think a lot's been taken off the table," said Nome Democratic Rep. Neal Foster, who helped negotiate the House-Senate deal on the Permanent Fund bill. Now, lawmakers are fine-tuning must-pass legislation like the annual state operating and capital budgets, along with single-subject bills that are priorities of different factions of legislators, or Walker. Among those is the capital budget, which passed the Senate in a 15-4 vote Tuesday. It still must be approved by the House and signed by the governor before taking effect. That capital budget vote was not without controversy, as the Senate majority added a $4.5 million amendment to resurrect the proposed bridge from Anchorage across the Knik Arm. The bridge could ultimately cost hundreds of millions of dollars, and lawmakers had shuttered the megaproject amid the state's multibillion-dollar deficit. "Has the Alaska Senate majority gone crazy?" Lois Epstein, an official with the Wilderness Society who monitors state capital projects, tweeted afterward. "The Senate is not acting as though the state has budget problems." After that move, the Senate passed another bill, House Bill 44, in a 13-6 vote that targets the government accountability initiative. The initiative, among many provisions, would stop legislators' daily payments for housing and food if they don't pass a budget within the constitutional session limit. It would require lawmakers to declare conflicts of interest before committee votes. And it would bar lobbyists from buying food and alcoholic drinks for legislators, which is currently allowed. 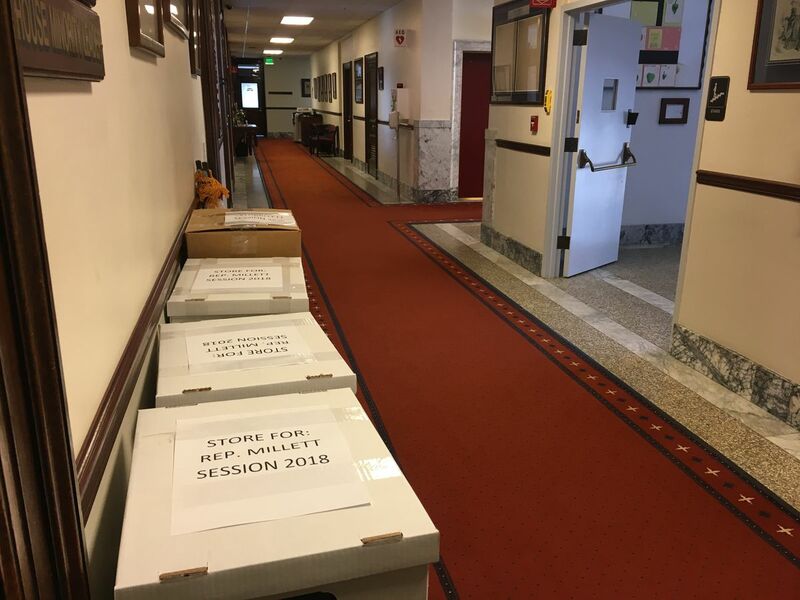 The initiative's sponsors — including two House majority members, Sitka Democrat Jonathan Kreiss-Tomkins and Anchorage independent Jason Grenn — led the gathering of tens of thousands of signatures to put the proposal on the ballot. But the initiative would be removed if the Legislature approves a similar bill, which is what the Senate passed Tuesday. Before the bill takes effect, though, the House would have to sign off, since the Senate rewrote the legislation after the House passed it last year. And Grenn, in an interview, said he wants to give Alaska voters a say. "I'd like to see the people have a vote," he said. "Two months ago, they thought that's what they were getting. And I think we need to stick with that." One of the day's last developments came at the meeting of the Senate Rules Committee, chaired by Anchorage Republican Kevin Meyer. That's where Meyer did surgery on House Bill 312. 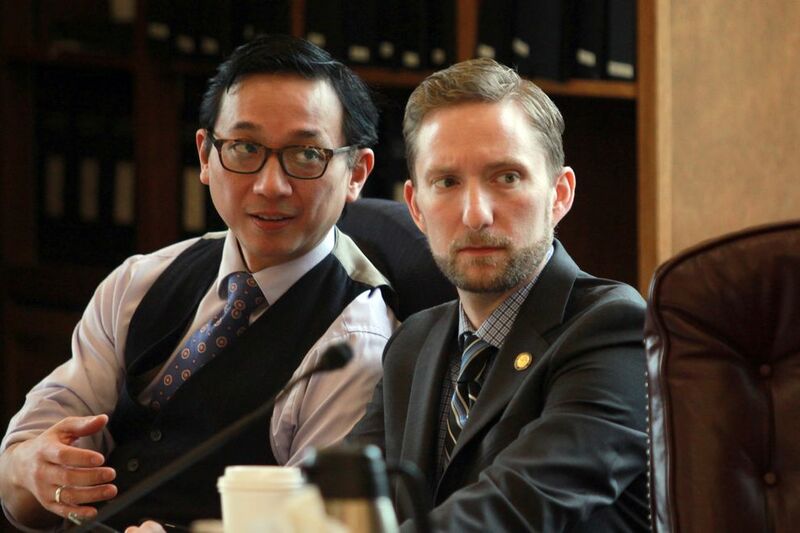 HB 312 was originally proposed by Anchorage Democratic Rep. Matt Claman to make it easier for police to arrest people accused of assaulting medical workers — and to toughen penalties. Meyer introduced a rewritten version of Claman's legislation that added the three bills that were part of a crime-fighting package pushed by Walker. That package had stalled in both the House and Senate amid fears that members would amend the legislation to make it tougher on crime — risking elements of a 2016 bipartisan criminal justice overhaul, Senate Bill 91, that was aimed at reducing the state's reliance on expensive prison beds. The proposals Meyer added to Claman's bill include giving the attorney general the power to restrict new types of illicit drugs — a step that otherwise would require legislative action. Meyer also added a separate proposal to boost fines for criminal convictions. And he included another bill designed to fix what Walker's administration says is a loophole opened by the 2016 law — one that forces judges to release certain suspects from jail while they await trial, even if they have lengthy out-of-state rap sheets. The fix, which would incorporate out-of-state criminal history into the state system for setting bail, has drawn endorsements from the Anchorage police department and district attorney, as the city contends with a public outcry over a recent rise in crime. Those three proposals had been languishing in committees for the past few weeks, with legislative leaders saying they preferred to limit debate on them rather than risk a politically sensitive, public fight over broader changes to the 2016 overhaul — or even a full-blown repeal. Now, if the Senate passes Meyer's version of the legislation, it will not face a barrage of amendments in the House. That's because legislative procedure calls for House members to take a straightforward, up-or-down vote on bills they've already passed that have been rewritten by the Senate. Still pending after Tuesday's action is the state's annual operating budget, which is stuck in a conference committee of House and Senate leaders who are trying to reconcile differences between competing versions passed by each chamber. Those leaders say the operating budget will become their focus now that the Permanent Fund legislation has passed. "I think it's fair to say that we all want to get home as soon as possible," said Eagle River Republican Sen. Anna MacKinnon. "And this weekend looks like a nice time to go home."